In 2016 Noho completed work on a large HLF-funded project in Cromford Mills, Derbyshire, England. ‘Sir Richard Arkwright’s Cromford Mills’ is a gateway centre for tourists that provides information on the Derwent Valley, a UNESCO World Heritage Site, and a detailed history of the buildings, events and figures that make up its rich past. 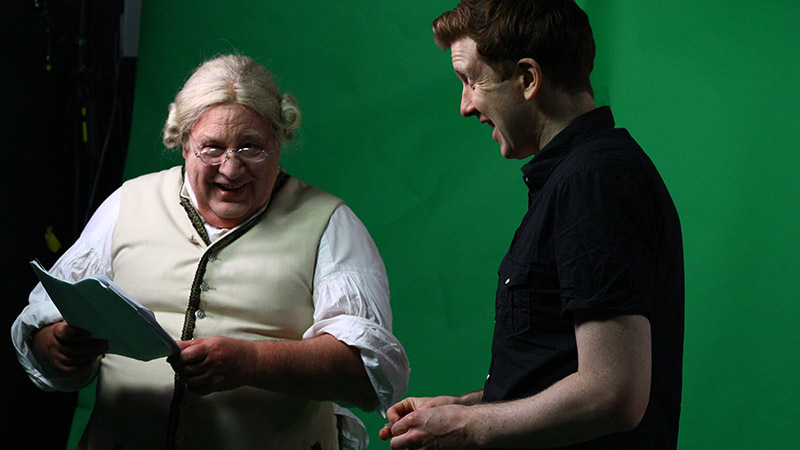 Noho designed and developed all interactive touchscreen content and applications for the site, as well as a promotional film featuring a voiceover from Brian Blessed (a Derbyshire native). The film explains why the valley, frozen in time during the early period of the Industrial Revolution, has become such an important location in industrial heritage. Noho also created an interactive map of the valley which is deployed across five touchscreens. 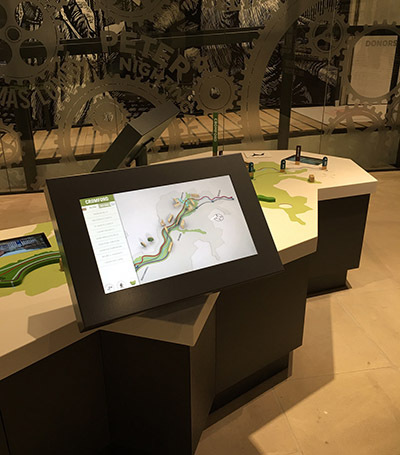 The interactive map features an animated 3D model that complements a large physical model within the exhibition space. 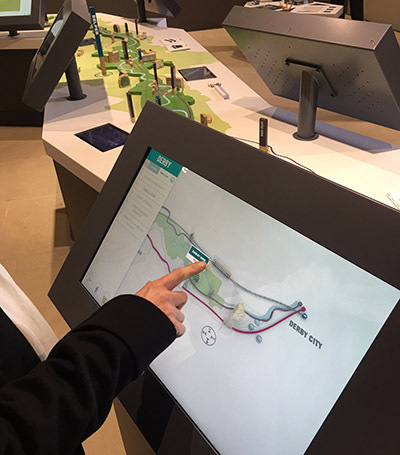 From these touchscreens, visitors can access a huge amount of historical and logistical information on every site in the district. 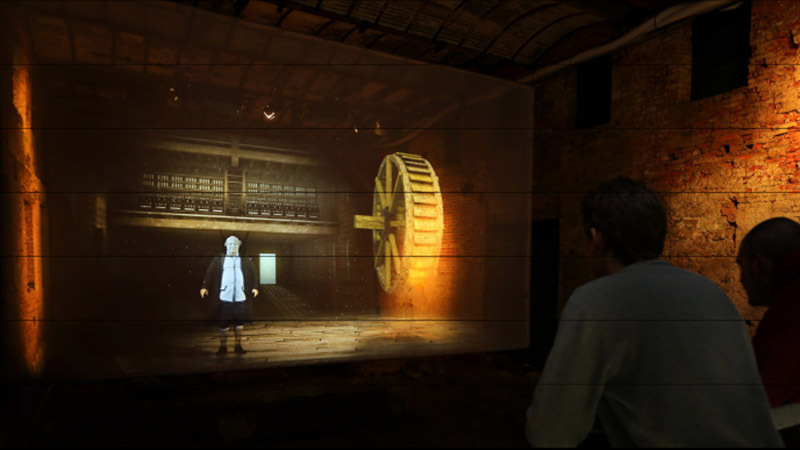 Noho also produced a very large audio-visual experience located in Sir Richard Arkwright’s original mill in the Cromford Mills complex. 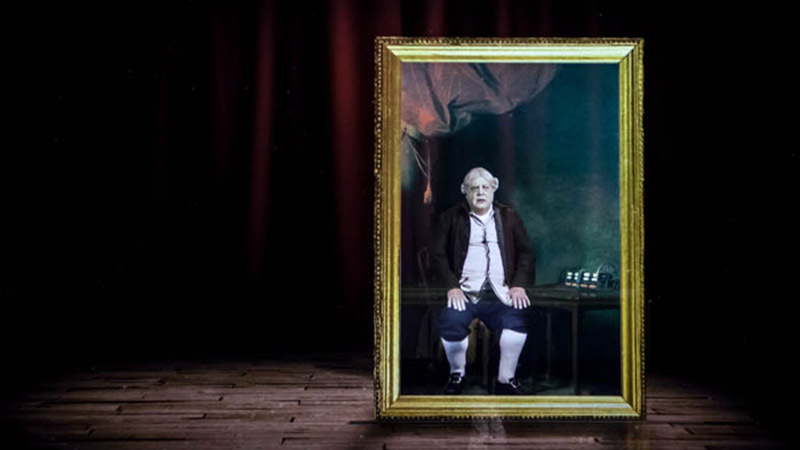 This exciting attraction utilises a multi-projector / screen setup to enable Sir Richard Arkwright to ‘walk’ around his mill as he tells his life story.